From Gornergrat – This picture is my favorite from the trip and was clicked around sunset from Gornergrat. 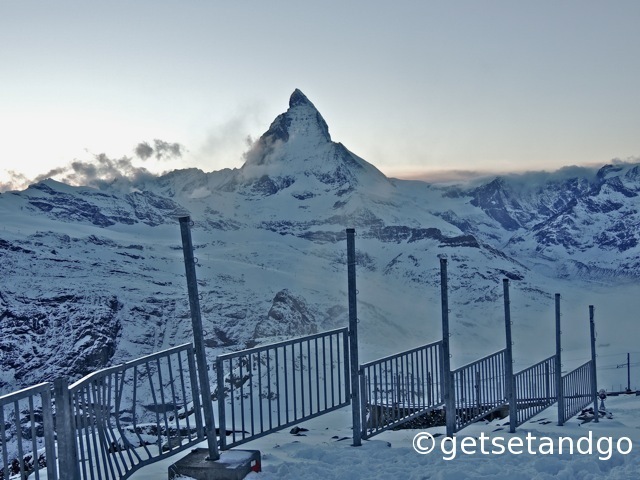 This image was special as the Matterhorn had been hidden by clouds and mist the whole day, and just when we thought that we will not get a good image, the clouds cleared and we got this gorgeous view and image. I also love this fence that adds another beautiful element and geometry to this pic.